This is a time in your life like no other, and henna is a beautiful way to celebrate it! I am more than happy to incorporate anything that is special to you or your new baby into your design. 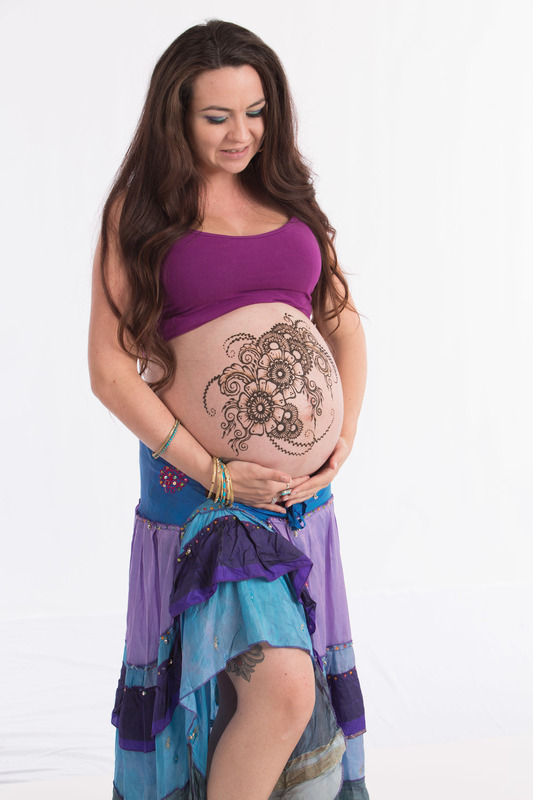 A beautifully hennaed baby belly is perfect for your maternity portraits. 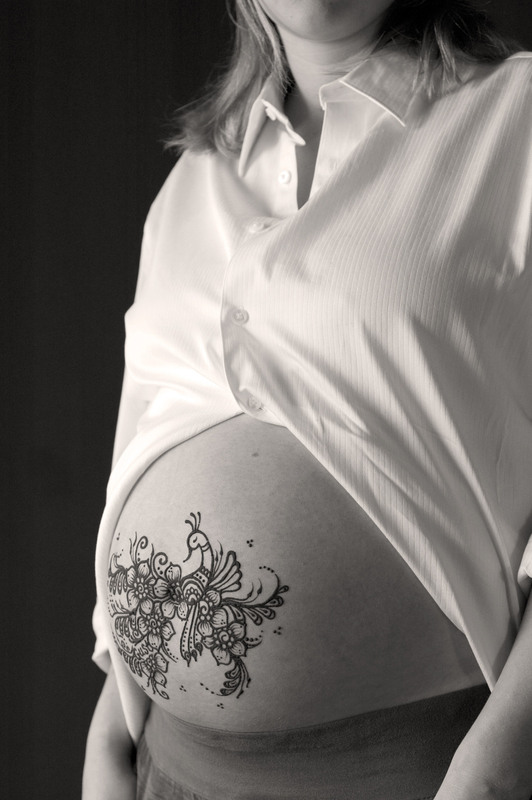 If you are interested in a Baby Shower/Party henna, then I recommend at least 2 hours, depending on the size of your guest list, I’ll come 30-45 minutes prior to the guests arrival and start the henna on the mom-to-be, and use the remaining hour or so to henna the other guests. I use only 100% natural henna mixed with lemon juice, sugar, and aromatherapy grade essential oils, so you can be ensured of a safe and relaxing experience from your henna. 1. Moisturizers create a barrier and keep the henna from getting to the skin, so don't apply any moisturizers or oils to your belly that day or for one or two days prior... I know that is bad news for moms-to-be because of the stretching, but if you can follow this it will give you much better results. 2. You'll need to leave the paste on for several hours so try to be in comfy clothes, and make sure you eat and go to the restroom before your henna appointment so you won't need to move around too much while your paste is still wet and delicate. 3. Henna likes warmth, after the paste is on and dry you'll want to keep warm, drink tea, etc. Usually pregnant momma's get really good color because they are so much warmer with that extra little body in there, and the good circulation! 4. Henna takes 24-48 hours to reach peak color... and water can inhibit that darkening process, so its best if you can wait 24 hours before showering or getting the hennaed area wet, so you may want to shower right before you get your henna.